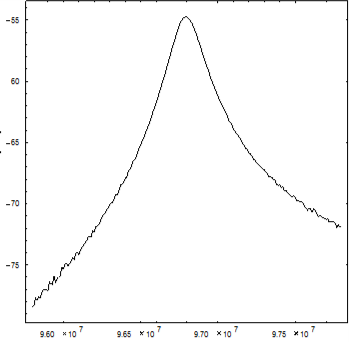 I am trying to fit a Lorentzian distribution to my data, and I was trying the solution provided by blochwave in this post. Your model function has no chance of reproducing your data (you have negative values, a linear skew, etc). 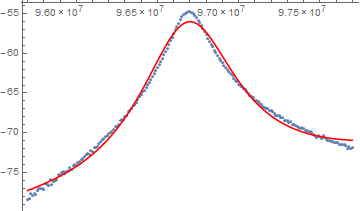 Here is a different model, which is still a Lorentz peak, but with an added linearly varying baseline, and much better starting values for the parameters. Not the answer you're looking for? Browse other questions tagged plotting fitting or ask your own question. 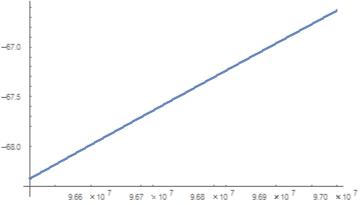 Help to model fitting a distribution of weights in weighted graphs : power or exponential law?